Tehran (AFP) - Iran's Revolutionary Guards accused "Pakistan's security forces" of supporting the perpetrators of a suicide bombing that killed 27 troops on Wednesday, in remarks state TV aired Saturday. "Pakistan's government, who has housed these anti-revolutionaries and threats to Islam, knows where they are and they are supported by Pakistan's security forces," said Revolutionary Commander Major General Mohammad Ali Jafari, referring to jihadist group Jaish al-Adl ("Army of Justice"). "If (the Pakistan government) does not punish them, we will retaliate against this anti-revolutionary force, and whatever Pakistan sees will be the consequence of its support for them," he warned. The general made the remarks in Isfahan City on Friday evening during a farewell ceremony held for those killed. Funerals are expected to follow on Saturday. Jaish al-Adl was formed in 2012 as a successor to the Sunni extremist group Jundallah (Soldiers of God), which waged a deadly insurgency for a decade before it was severely weakened by the capture and execution of its leader Abdolmalek Rigi by Tehran in 2010. The Wednesday bombing targeted a busload of Revolutionary Guards in the volatile southeastern province of Sistan-Baluchistan, which straddles the border with Pakistan. 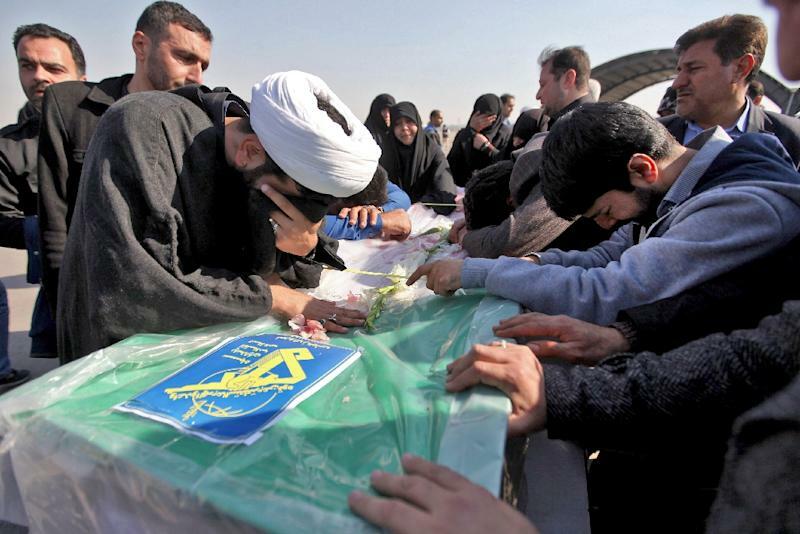 The attack was one of the deadliest on Iranian security forces in recent years and came just days after Iran held more than a week of celebrations for the 40th anniversary of the Islamic Revolution, which overthrew the US-backed shah. The commander also blasted "the support that the region's reactionary states Saudi Arabia and the Emiratis" maintain for "conspiracies" that he said were ordered by Israel and America. "We will certainly follow retaliatory measures," he added, without elaborating. Jafari's comments came ahead of a two-day visit by Saudi Arabia's Crown Prince Mohammed bin Salman to Pakistan, which is set to begin on Sunday. Iran's supreme leader Ayatollah Ali Khamenei has linked the prepetrators of the attack to "the spying agencies of some regional and trans-regional countries".